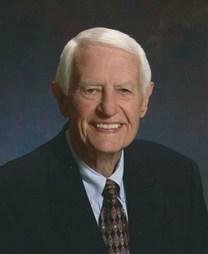 COLUMBIA – George M. Tucker, 83, passed away on Friday, March 1, 2013. He was born September 5, 1929 in Monroe, NC the son of the late George W. and Allie Mae Kendall Tucker. Mr. Tucker is survived by his beloved wife and best friend of 50 years, Rebecca "Becky" Hatch Tucker; daughters, Nancy T. Salley (Bret) of Columbia and Ann T. Blaine (Gregg) of Lexington; grandchildren, Brandon and William Salley and Kendall and Hannah Blaine; sisters and loving family members, Shirley Campbell, Barbara Hoven, Betty McNamara, Robert Tucker and his adorable pug, Katie. He was predeceased by his sister, Ruth Lehne. He was a graduate of East Carolina University where he played football and obtained his B.S. and masters degrees. He coached football for 10 years, the last 5 years as head coach at Elon College where he was later inducted into the Elon College Hall of Fame. The Elon football practice field is also named in his honor. He moved to Columbia, SC in 1971 where he was a stock broker until his retirement, the last 35 years with Raymond James Financial. He was a man of great integrity and character; a devoted and loving husband, father, grandfather, brother, coach and friend. Family was extremely important to him and he always tried to make others feel welcomed and loved. He will long be remembered for his warm and inviting personality, his natural ability to encourage and motivate others, his sense of humor and his kindness. He never met a stranger and would talk your ears off telling stories as long as he had an audience. Throughout his life he positively impacted the lives of many people. The family would like to extend their gratitude to Dr. Robert Schulze, Dr. Ruben Mayer and Amedisys Hospice for their loving care and support. The family will receive friends from 5:00 p.m. to 7:00 p.m. Sunday, March 3, 2013 at Caughman-Harman Funeral Home, Irmo/St. Andrews Chapel. Funeral Services will be held at 12:00 noon on Monday, March 4, 2013 at St. Andrews Presbyterian Church with burial immediately following at Bush River Memorial Gardens. In lieu of flowers, memorials may be made to St. Andrews Presbyterian Church Building Fund, 6952 St. Andrews Road, Columbia, SC 29212. Mr. Tucker was a charter member at St. Andrews Presbyterian Church and a former Trustee. The Guest Book for George M. Tucker is no longer available online.